In the past Henry has always been very cordial with TMZ. But the last few times he's passed through LAX, TMZ has been really pushing it. 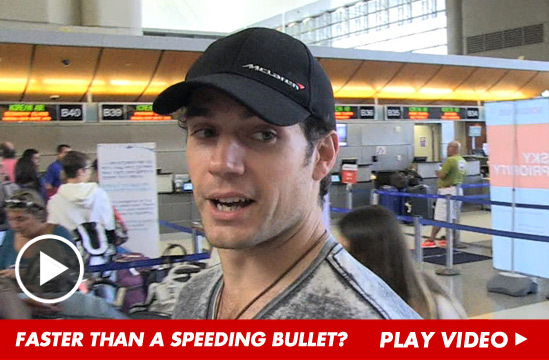 That was the case yesterday, as Henry flew out of L.A. (we're guessing on his way to London to begin preparing for The Man from U.N.C.L.E.). While TMZ tried to get him to say something scandalous or just plain silly, Henry maintained his decorum. Always the nice guy. Respect. Watch at TMZ or below. Henry is so calm with this guy. I hope he's able to remain like that with future encounters.